What is Tent and Canopy in General Term? Tent – A tent is a temporary structure composed of a covering made of a flexible membrane or fabric, supported by such mechanical means as poles, metal frames, beams, columns, arches, ropes and/or cables. Canopy – An architectural fabric projection that provides weather protection, identity, and/or decoration and is ground-supported in addition to being supported by the building to which the canopy is attached. The term also can refer to a small tent, a tent without sidewalls or an awning. Frame tents are much stronger and durable. Frame tents can hold up to higher amounts of wind. A frame tent uses a system of aluminum poles (much like a bind system in a house) to form a free-standing structure that the tent fabric is secured to. The frame eliminates the need for interior center poles leaving more room under the tent. 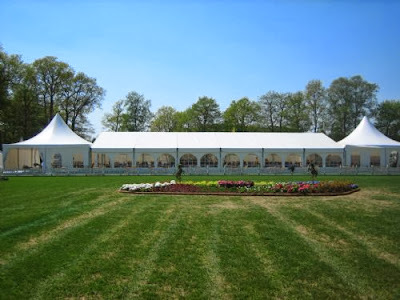 Frame tents must be anchored, but do not necessarily require staking. They can be set-up on asphalt, concrete, decks, etc. Different forms of weight can be used to secure frame tents. 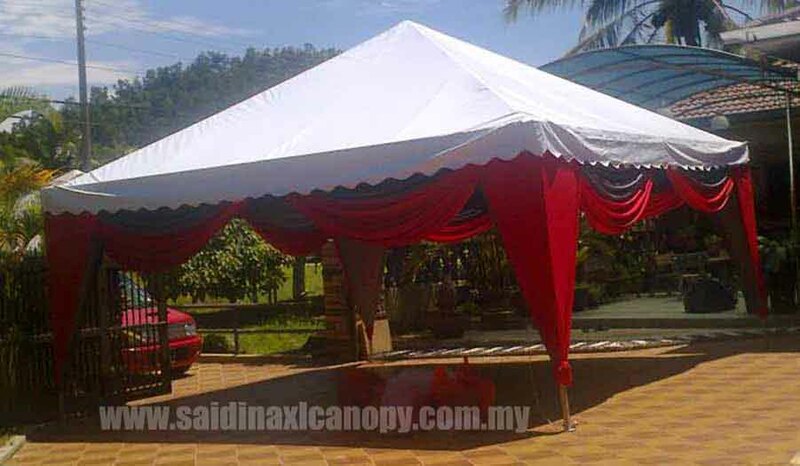 Due to the strong frame structures, sidewalls can be installed on frame tents. Typically a canopy is smaller, light-weight that can be easily set-up with little or no experience. They are typically rented as over-the-counter units that a customer picks up and sets up themselves or can be installed by our company. 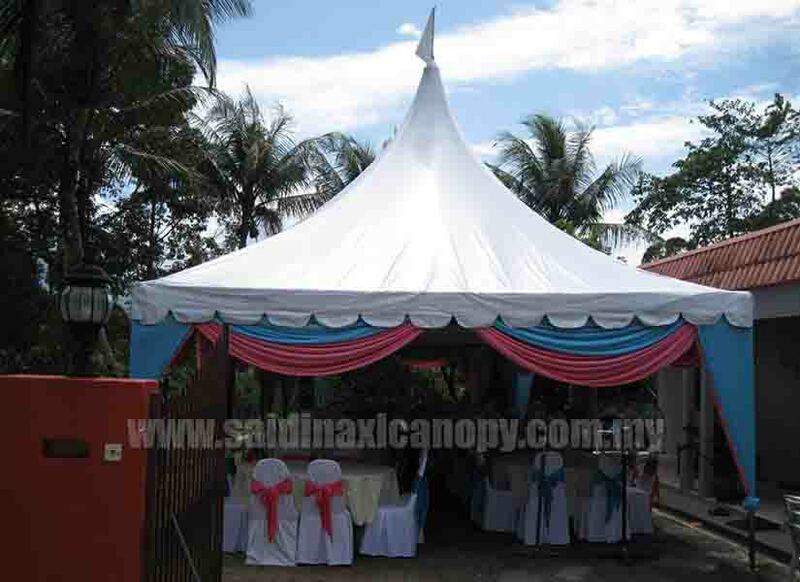 Canopies are NOT as resilient, sturdy or durable as a frame tent. Canopies are relatively inexpensive to rent they can provide temporary shelter from sunlight and rain. They are generally made of lighter vinyl material. 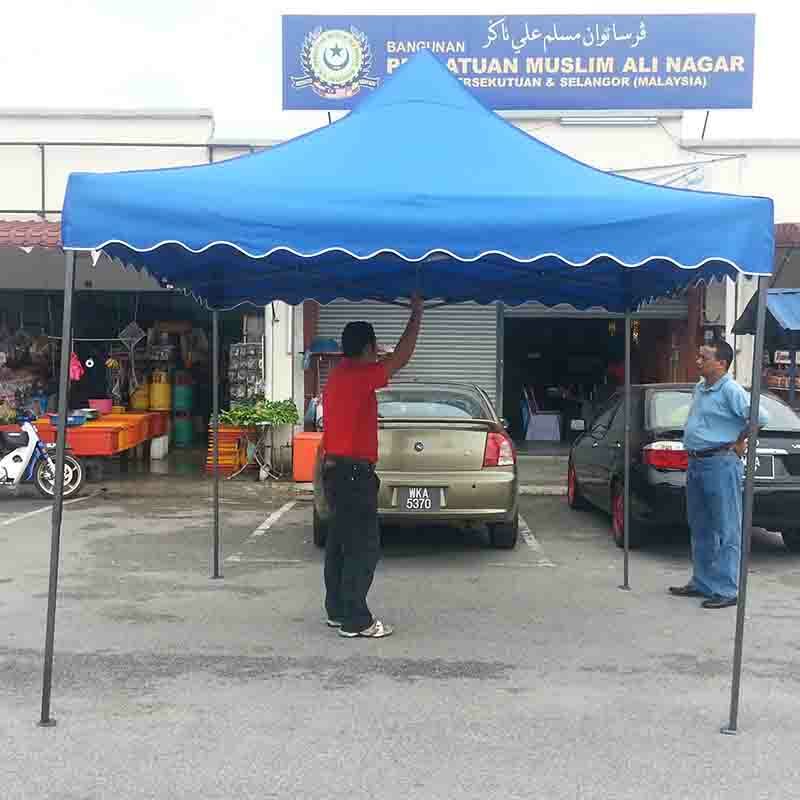 The structure of a canopy is held by thin lightweight PVC poles. Although canopies are staked into the ground for added stability, their stakes and ropes are not designed to withstand rough weather conditions (especially in areas of such high winds, ie. near the ocean or large open areas). Because of its light structure, sidewalls cannot be installed on canopies. Canopies MUST be installed on an all dirt or grass area. A canopy requires extensive staking to hold its structure up. The vinyl fabric of the canopy is supported by interior center and exterior side poles. Stakes are installed at each exterior pole and provide tension to hold the fabric tight and keep the canopy upright. 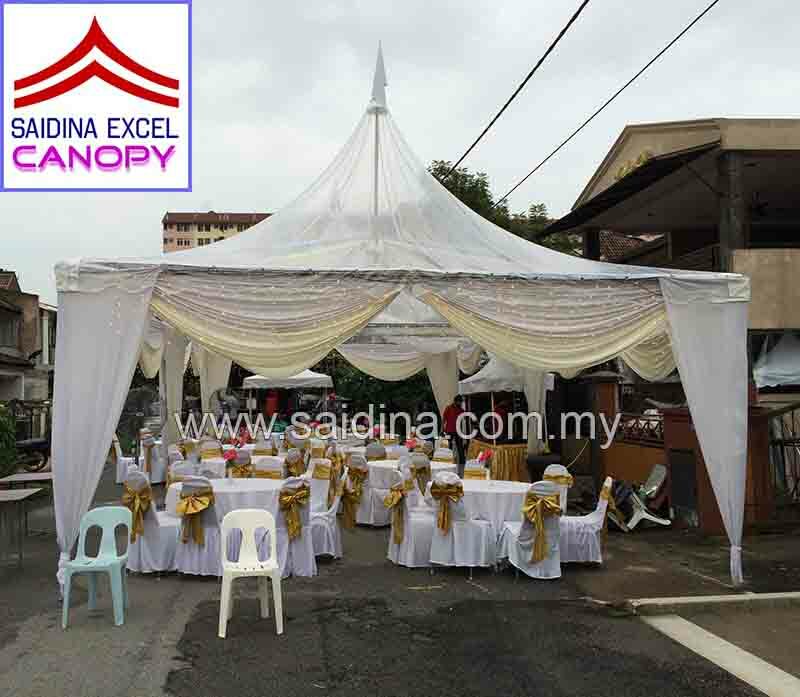 This website is only used by Saidina Excel Canopy to provide a clearer picture of the business activities and services offered to customers. Any activity that violates the law committed by external parties is beyond the jurisdiction of the company.